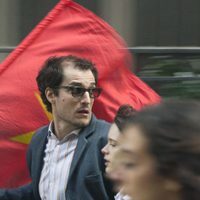 Michel Hazanavicius film a biographical movie about the well-known french cinema's director of Nouvelle Vague Jean-Luc Godard. 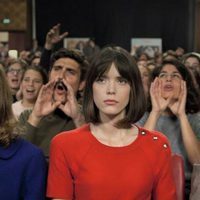 This movie is starred in for Louis Garrel, Stacy Martin and Bérénice Bejo. The story goes by during the 60s years. Once that he had already divorced of the beautiful actress Anna Karina, he meets to Anne Wiazemsky, a young actress of 17 years old, who will fall in love. As the same time that, this is happening, Jean-Luc Godard has performed a new film, which turned out to be not a success and it didn't have good reviews. 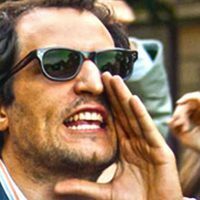 That situation will take to the french director goes under a crisis, which will show that he isn't as perfect as seems. This movie released on Cannes Film Festival and it didn't get any award. Write your own 'Redoubtable' review. 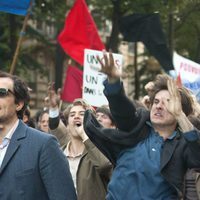 The movie is based on the France of May of 68 and shows the revolution in which it was the country. The movie is based on the biography of Annie Wiazemsky ('Un an aprés') where tells her love story with Jean-Luc Godard.